DUQUESNE, Pa., April 19, 2017 — Each April, Americans observe Sleep Awareness Week, but data shows Americans still struggle to get quality sleep. February 23, 2017 – Bedding Maker Breaks Ground, Expands E-commerce Capacity. Bedding manufacturer American Textile Company today announced the expansion of its U.S. operations with a new, state-of-the-art warehousing and distribution facility under construction in Tifton, Ga.
Dallas, Texas – American Textile Company this week boosted production with the opening of a new facility in Dallas, Texas. 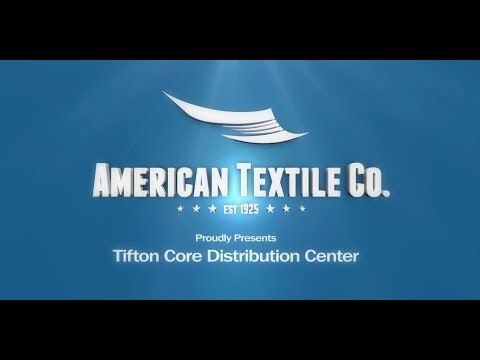 American Textile Co. adds to its facilities. New plants in Dallas and Salt Lake City boost speed to market. Duquesne, Pa. – Spurred by double-digit annual compound growth, American Textile Company has significantly expanded its U.S. manufacturing base. The sleep solutions provider’s new Dallas facility provides nearly twice the amount of space and capacity as the former Dallas location. American Textile’s new Salt Lake City facility increases space and capacity by approximately 70%. Pittsburgh-based American Textile Company, a leading provider of innovative sleep solutions since 1925, announced today the appointments of Jane Fischer to Senior Vice President of Product Development and Patrick Seiffert to Senior Vice President of Marketing. In these newly-created positions, Fischer will oversee the ideation and development of American Textile Company’s growing list of retail products while Seiffert will focus on consumer insights, brand growth, customer experience and e-commerce. 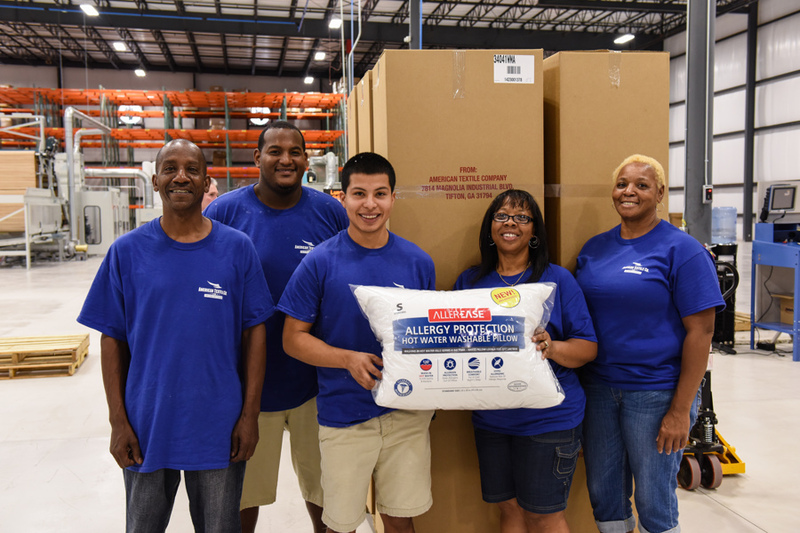 DUQUESNE, Pa., Sept. 4, 2014 — American Textile Company, a leading provider of innovative sleep solutions since 1925, has doubled the size and expected employment of its Manufacturing and Distribution Center in Tifton, Ga. The Tifton facility today employs 200, and American Textile expects to hire 100 more in the next three years. Today, hundreds of government officials, community leaders and partners attended a grand opening at the expanded 418,000 square foot state-of-the-art facility. PITTSBURGH, Feb. 23, 2011 – American Textile Company (ATC) announces that Chief Operating Officer Lance Ruttenberg has been named President of the Company. The announcement is part of a strategic leadership transition plan the Company has had in place for several years. Jack Ouellette will continue to serve as the Chief Executive Officer and focus his attention on strategic planning initiatives; involvement with the Board of Directors; expanding the Company’s presence with government and business agencies, and participating in all major decisions affecting the business. American Textile Company, founded in 1925 and headquartered in Duquesne, Pa, was named the Pittsburgh Business Times’ Manufacturer of the Year in the mega business category. The program annually recognizes area manufacturers in the Pittsburgh region for achieving growth through sales revenue, innovation, and process improvements. The sustainable manufacturing award recognizes manufacturers for commitment to sustainable products, process or manufacturing methods, including energy/material savings, pollution reduction, and facility design.